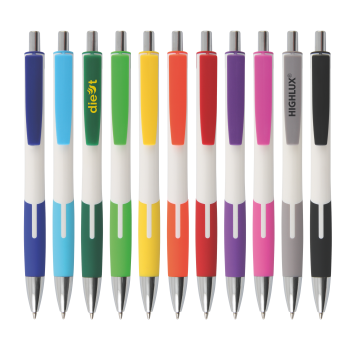 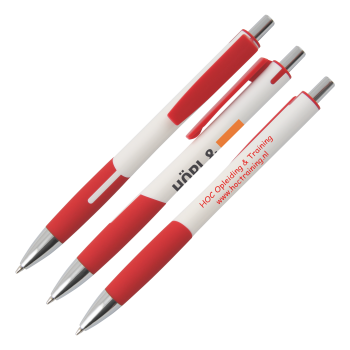 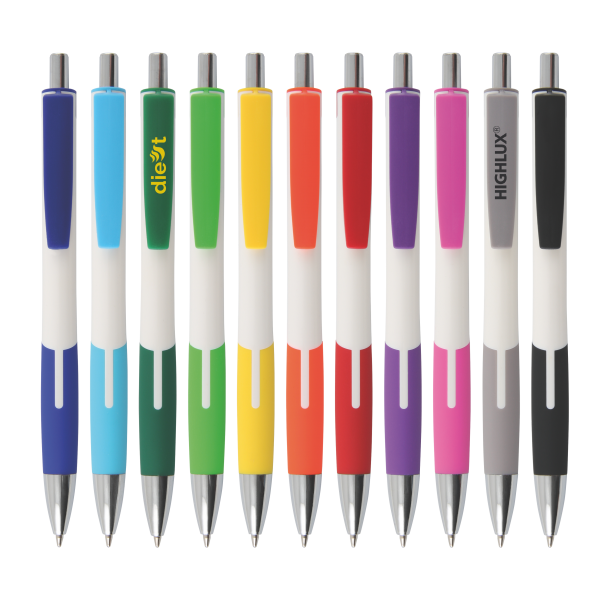 the lightweight ballpoint pen with white shaft, colored clip and grip zone. Pusher and tip made of metal completes the style. 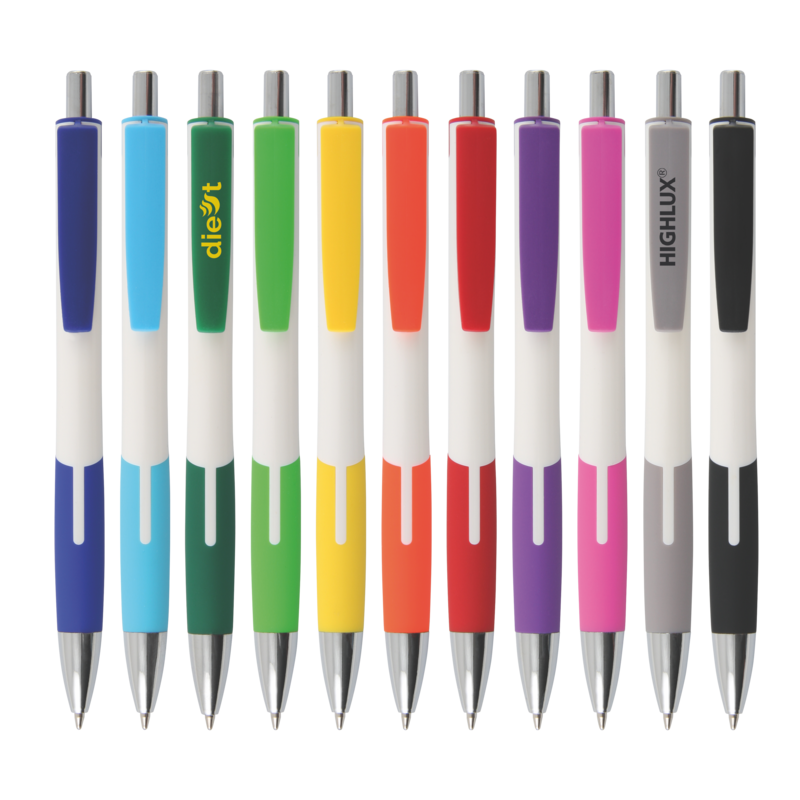 Prices include 1-color printing and set-up costs!